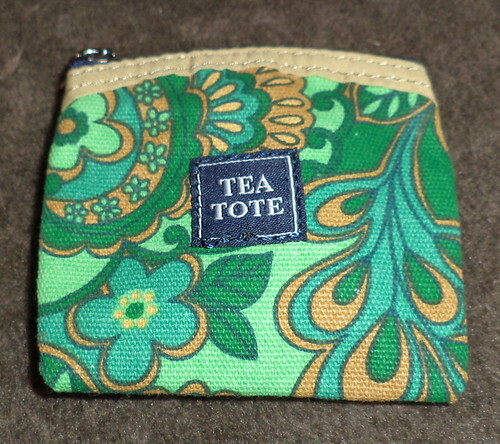 For years, I carried tea bags in my purse. I had a tin, a recycled mint tin, which was the perfect size for those bags. I could keep 3-4 bags in the tin and then, when out to eat or at the office, I'd always have, at hand, the kind of tea I preferred. I lost the tin many years ago and then decided to buy boxes of tea to have in my desk, for a hot mug at work. I hadn't thought about carrying my own, even though I have a small sad when I ask for tea and out comes Lipton. While some restaurants, mostly upscale, have gone to eclectic brands for their tea, I encounter Lipton in most of the places I go. It's okay, but there is such a wide variety of brands and, maybe it's just me, but English Breakfast in one restaurant can taste just a bit different in another restaurant because they have a different supplier. Orange Pekoe, which is Lipton, is what people in the US grew up on. You just couldn't get anything else. Mercifully, as my tea shelf indicates, that's no longer the case. There is a huge push for herbal and decaffeinated teas. At the office holiday party last weekend, there was no English Breakfast in the tea box proffered for my selection. I chose Earl Grey, not my favorite, but it was the only dark tea choice I had. I didn't remember, until I was soaking the bag, that I did have another option. Pam gave me this for Christmas. It holds 2-3 bags, depending upon the size. I currently carry a Huckleberry, an English Breakfast and a Scottish Breakfast. I felt the Earl Grey I had tasted a touch "off". I could have just asked for hot water. That always gets a strange look from servers. But I would have had tea I preferred, rather than tea I had to settle for. The best thing about this, it fits in my clutch purse. I have my tea whenever I want. Now all I have to do is remember.